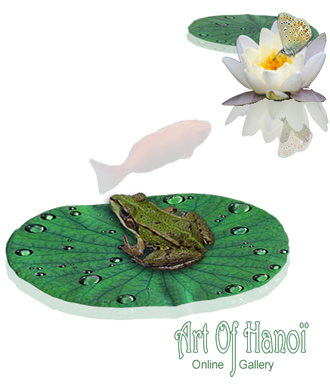 ArtOfHanoi was born of a dream, a desire to share the artistry that conceals Vietnam! It is above all for the love of art that we have opened this gallery and it is this love that we wish to share with you. We gave ourselves the task of selecting the finest works from the most renowned artists of Vietnam, but also to have the pleasure to discover new ones! Having the pleasure to offer what we love and appreciate ourselves. Sell only original works created by artists whose reputation extends from one continent to another. Make you enjoy your shopping experience so that you share this one with your family and friends!